Pete Austin has had the pleasure to interview Robert Habermann anticipating our second event in 2016 “I Got Gershwin” who never in the proverbial million years did believe he would be living the world as penned by a Russian lyricist 1946. 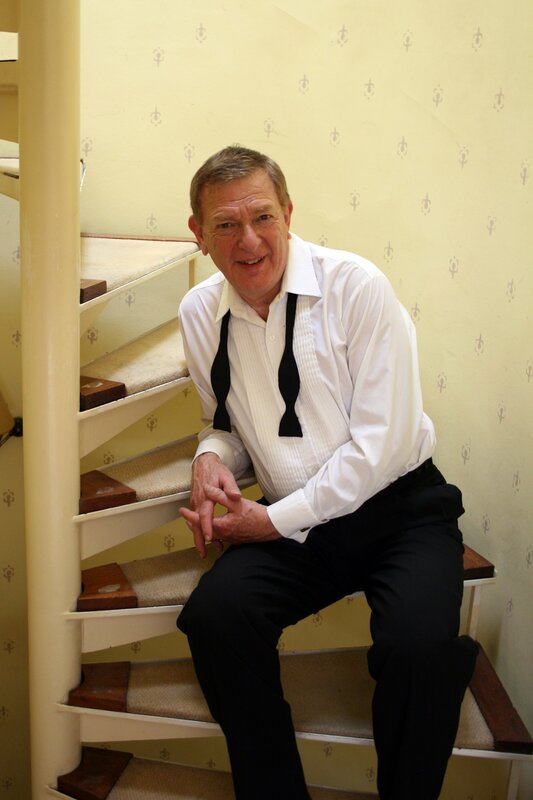 Today, Robert Habermann’s shows, including ‘I Got Gershwin – S’Wonderful!’ which he is bringing to Kettering Arts Centre on January 23, which has attracted hundreds of people who, by the end of the evening, leave with much more than many of them expected. These are unique musical shows, telling the life story chronologically whether it be – Sinatra, Gershwin, Berlin etc., filled full with great songs and stories to heighten the show’s drama. Robert said: “The thing about my shows is that they are ‘storybook’ shows. I do not try to emulate the people, but tell their whole story. It is something that is very popular in America, but more unusual to be found in England. “You will not only learn about the life of the person, but also hear their wonderful songs. 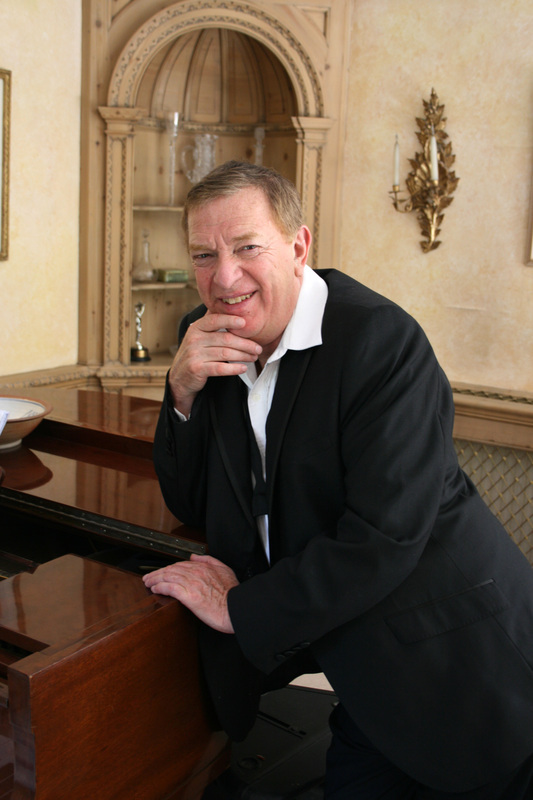 My musical director is Bunny Thompson has worked alongside the greats including Bing Crosby and Sammy Davis Jr. and Shirley MacLaine. I caught up with Robert before he started his Christmas tour and whilst there is no audio in the following interview what follows is a brief insight into Robert’s own unexpected journey into the glittering world of showbiz. On leaving school ‘real life’ was first working in the film industry as a ‘grader’ then building a successful cake company from scratch, but all the while Robert continued his singing alongside a piano accompaniment on a part-time basis. Jump forward to 1993 and life was suddenly to take a dramatic turn which, as so often has happened in the past to other people, came about by chance. In what Robert describes ‘a weird situation’. He said: “American jazz singer Mark Murphy invited me to join him at London’s celebrated music venue ‘Pizza On The Park, where I was introduced to one of the leading recording artists from the ‘40s to the 70’s – singer Margaret Whiting who, in addition to amassing a dozen gold records of her recordings, was also a star of radio, stage, TV and film. What transpired from that meeting will never be forgotten. My life would never be the same again. “The conversation first comprised of Margaret dropping names like Frank (Sinatra) Sammy ( Davis Jnr) Steve Lawrence and Edie (Gorme) like confetti who she knew; and I sat there gobsmacked. It may just be me but something about what Robert told me next reminded me of the line from the Jimmy Webb song McArthur Park which was first recorded by Richard Harris, and contains the line – ‘someone left a cake out in the rain, I don’t think that I can take it’. “It was almost down to a slice of cake that she invited me to go to New York to study. I couldn’t believe it,” Robert continued. “Somehow the conversation then turned to baking telling her of the cake company that I had built from scratch. Margaret asked if she could try a piece. I happened to have a cake in the car. “Later, because it was raining, I offered her a lift home. After listening to my tape and liking what she heard she invited me to go to America to study with her. I told her that I could not afford to go and was amazed when she said it was all free of charge!!! So I soon found myself living in New York. “One of the first things we did was sit in at an audition where performers who had appeared on Broadway were applying to attend a Cabaret Symposium where they would learn how to put a solo act together to tour around The States – great solo singers in America in the past had all gone on this course and it was very hard to get into. When Margaret suggested that Robert should apply to go on this course he was petrified. He said: “I managed to sing my song right to the very end without interruption. At the end, there was an ominous silence. After what seemed like an eternity, the judges said they had never heard anything like it and loved what they had had heard. This led to me gaining a scholarship to study at The Symposium in Connecticut. “The people I was up against were all seasoned Broadway performers. I was just a middle-class kid from London. It was the start of the most amazing year of my life. After the success of this show, Miss Whiting suggested Robert return to the UK and present what he had learned in New York to a British audience. The show, ‘His Way’ was a show celebrating Frank Sinatra’s 80th birthday. 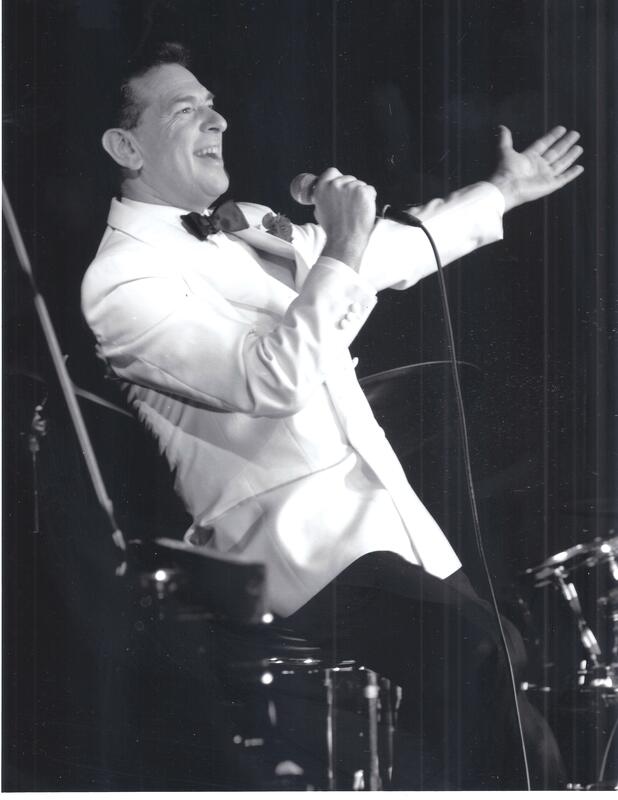 The fact that Frank was still alive at the time made Robert unsure if this would work but when assured the legendary singer had given his blessing to the project, it went ahead where it was performed at London’s Queen Elizabeth Hall in 1995 to critical acclaim and has since been updated to mark Sinatra’s Centenary and is still one of Robert’s regularly performed shows. Since then Robert has created many different shows which have toured not only the UK but around the globe. He loves singing Gershwin’s songs and his reason for doing so is down to the huge range of styles and great tunes available to choose from. Although a solo performer, I asked him if he could chose anyone to join him on stage to perform a duet he had no hesitation in saying Doris Day. He may not have any singing partners when he comes to Kettering but do not fear. Robert does not need one. His storybook show ‘S’Wonderful’ about the life and songs of George Gershwin is as a complete a show as you will ever need to see. 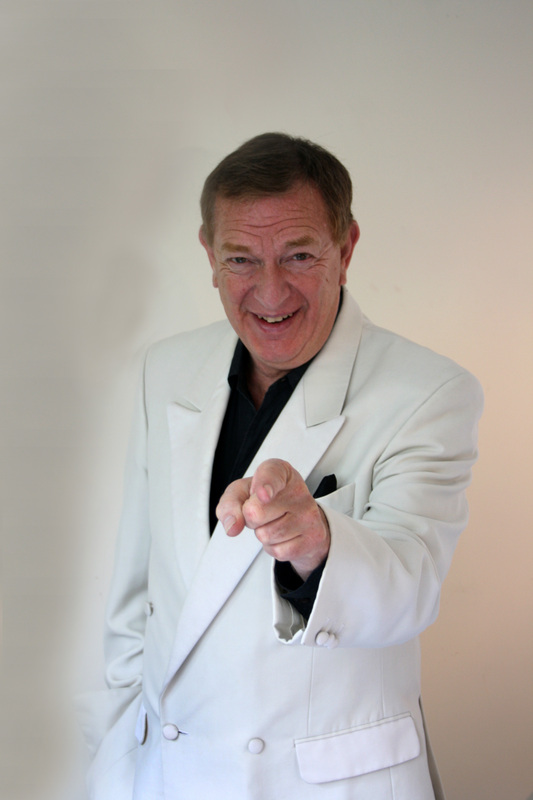 For information about the latest show with Robert Habermann at the Kettering Arts Centre and full booking details please click here. Tickets for this event are available from Waterstones, High Street, Kettering, by post from Becky at St Andrew’s Church (cheques made payable to “PCC of St Andrew’s Kettering”) to St Andrew’s Vicarage, Lindsay Street, Kettering NN16 8RG. You may also buy or reserve tickets from Jaime Ferreira by email at office@ketteringartscentre.com or online at We Got Tickets (subject to a booking fee).